Huh. 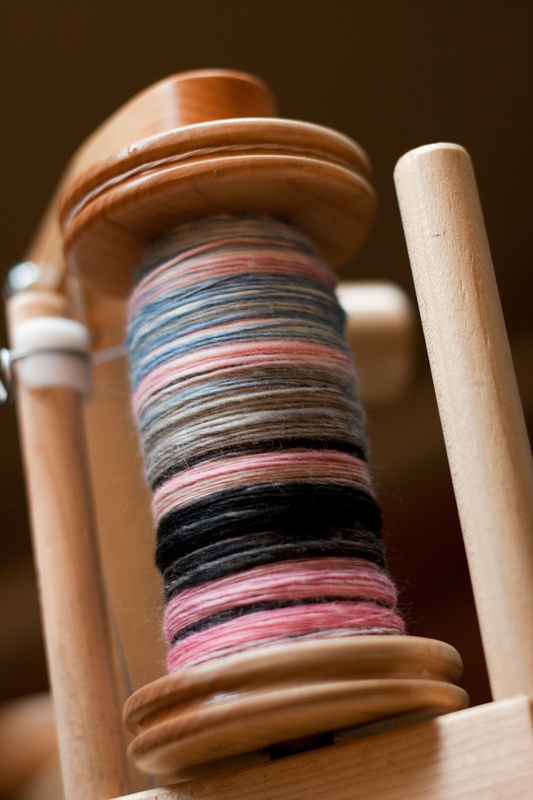 Well, I guess it’s been a while since I showed my Tour de Fleece spinning. I spun up 8 ounces of undyed llama that I don’t have pictures of, but I do have pictures of my last 3 days worth of spinning. I ended up with approximately 265 yards of sport-weight yarn. 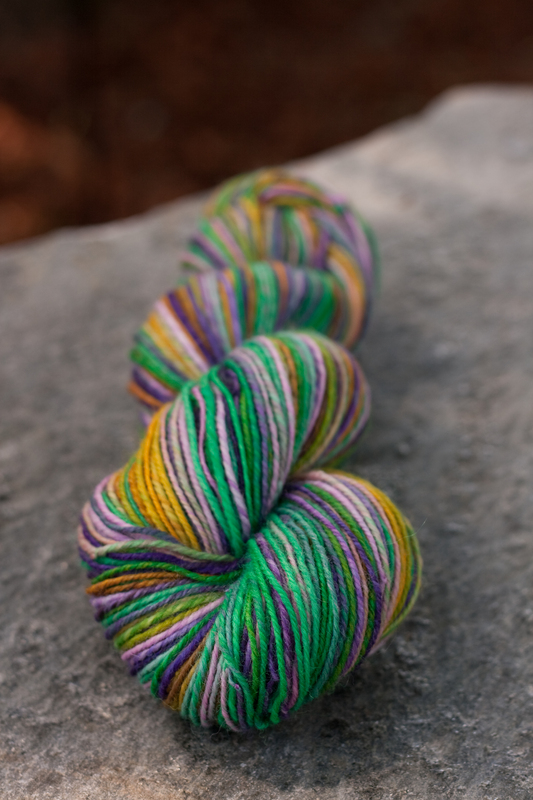 This skein is headed for my personal stash because I can’t bear to part with it. I knew from the minute the braid of fiber arrived in the mail that I’d be keeping it for myself. 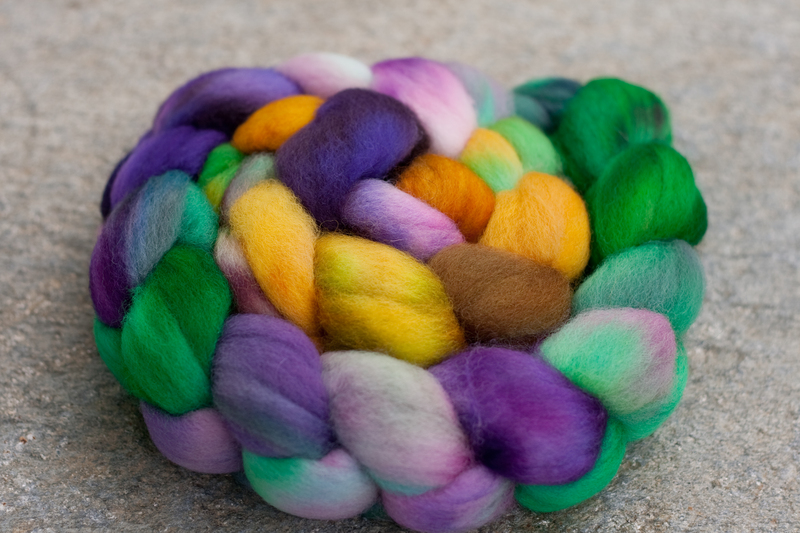 I really enjoyed spinning the Falkland. 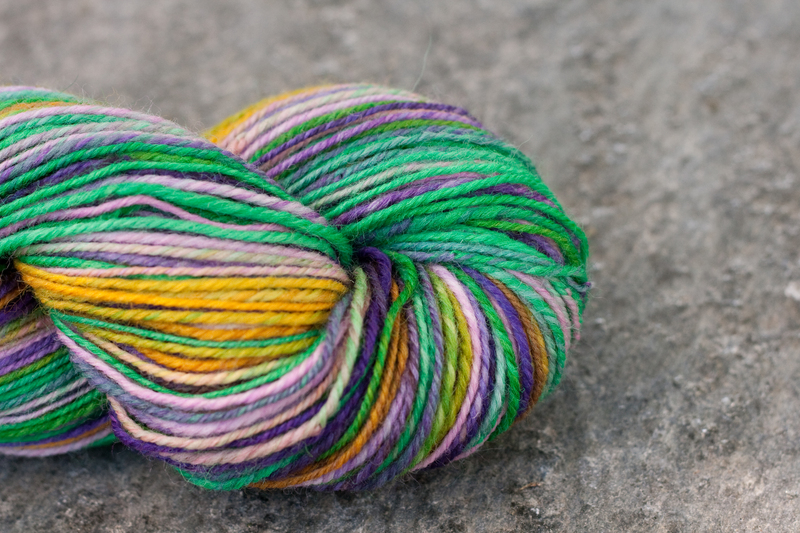 It’s not as soft as merino, but it spins up into a very soft, smooth yarn. And it drafts like a dream…it was very easy to spin a thin, even single. 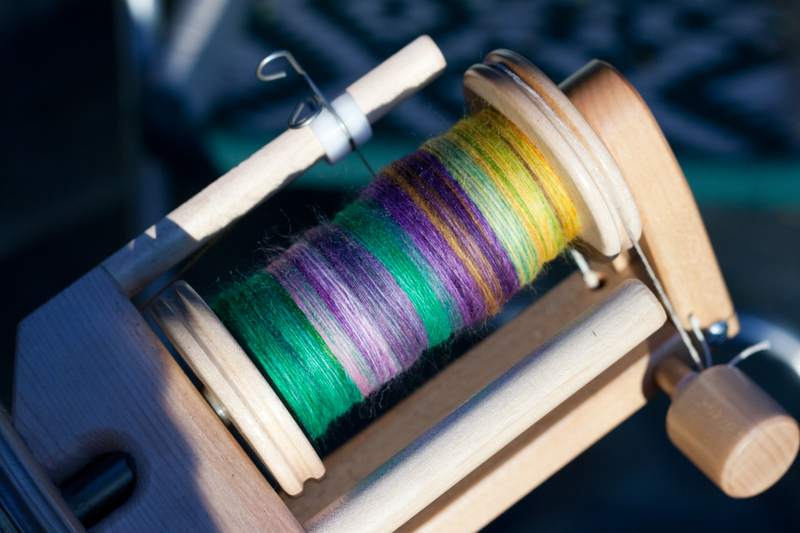 Although I think this braid of fiber would also look gorgeous navajo-plied, I think I’ll stick to a traditional 2-ply. 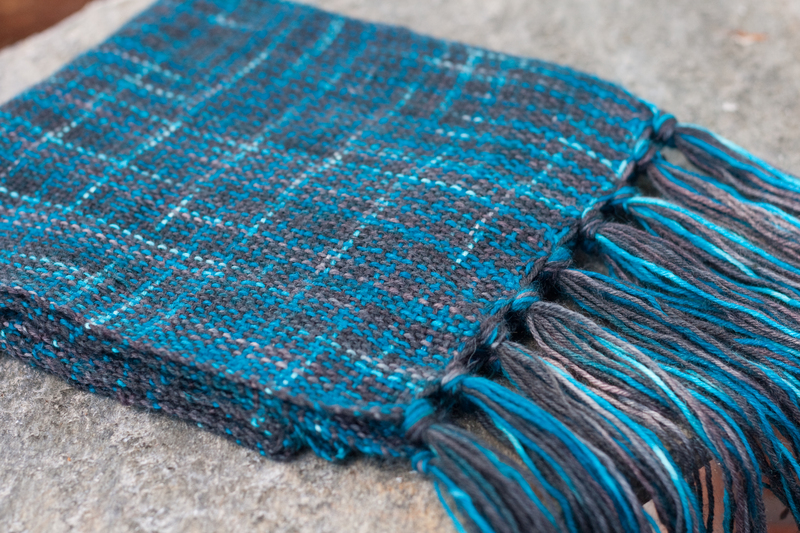 I love the way this yarn looks woven, especially how it has a plaid sort of look to it. The yarn isn’t quite as soft as I’d like, but I’m hoping it will soften up a little bit once it’s washed. In knitting news, I’ve picked my Estelle Cardigan back up and just finished the first sleeve. 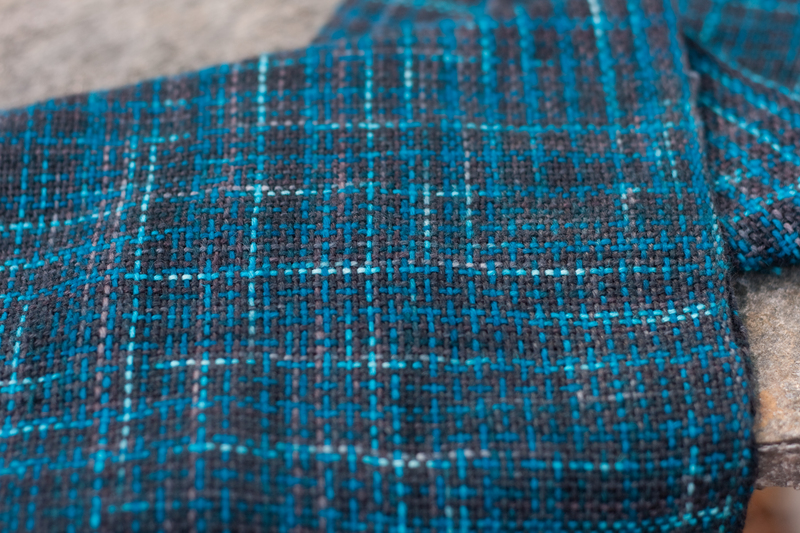 I’m also itching to make another shawl, but I haven’t decided on yarn or a pattern yet! Camp Loopy’s project number 2 starts today, but I’m still undecided about what to make. 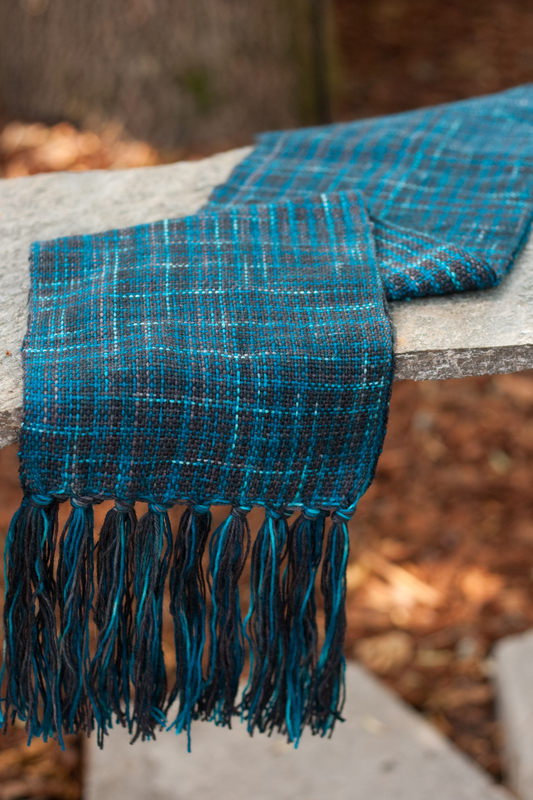 The guidelines say that the project needs to be socks, mittens, or gloves with cables. Initially, I thought I’d try and do some crazy cabled socks, but I have 2 pairs of unfinished socks already. So, I’ll probably end up going with mittens. 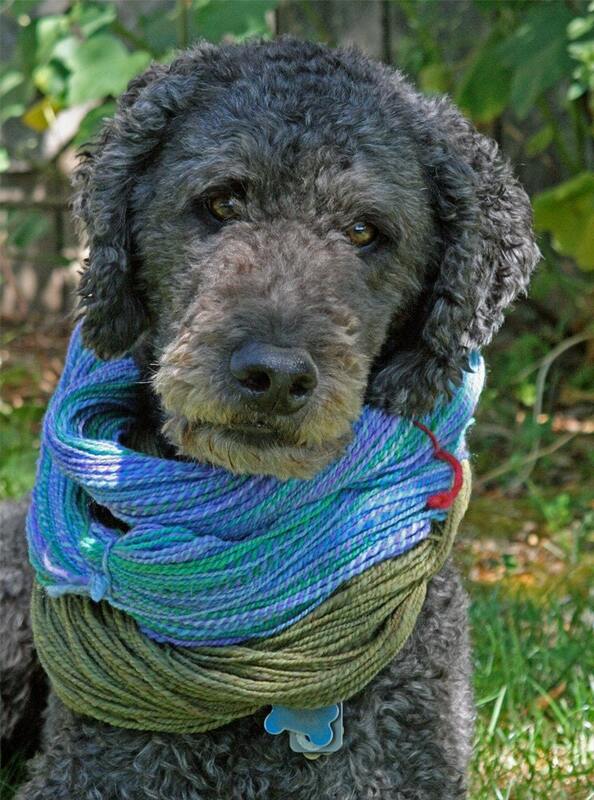 But as far as pattern and yarn choice, who knows!